Scams are designed to steal your money or identity! Every day people fall victim to scams of one kind or another. Some are very sophisticated and can use very persuasive techniques, where others just appeal to greed. It could be an unexpected lottery win, an opportunity to make millions by helping to get money out of a country, or sending money to someone you met on a dating site to cover medical expenses after an accident. 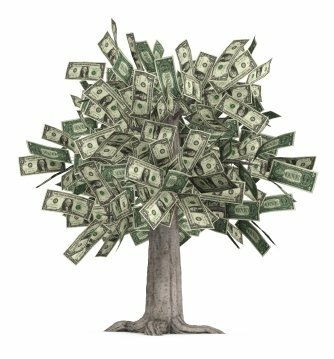 Everyone is a target, and the scammers see us as a money tree. The key is to avoid becoming a victim in the first place. Remember: if its sounds too good to be true, it probably is! There are warning signs that you can recognize in order to protect yourself and your money from the scammers. You can also make us aware of any scams you think you have encountered by using our Report Scams. We have received requests for a concise book on scams that outlines the main scams, but includes some 'Golden Rules' to help avoid most scams, as well as some general tips. 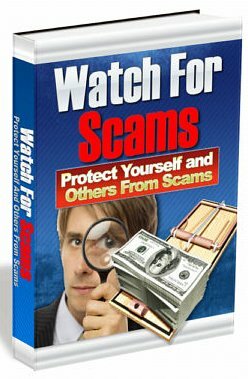 The book is now completed and available on the Scam Book page on this site. We have added a new feature providing you an opportunity on most of the scam topics to add your knowledge, stories, experience, or tips to help others from being scammed. Look at the bottom of each page to find out if you can contribute. To speed up finding the topics on this website that you are interested in, there is a search function Sitesearch at the top of the navigation bar on the left hand side. Just type in a word or phrase and Sitesearch will find all references to it within this site. Please subscribe to our newsletter that provides news, helpful tips and recommendations that will help you protect yourself, and the people you care about, from becoming victims of fraud. The Google advertising that appears on this site is to help offset some of the costs, and the ads are selected by Google, and not this site.